ExecutiveBiz is pleased to name Evan Scott, CEO and one of the founding partners of ESGI, as a recipient of its 2017 Top 10 GovCon Executive Recruiters Award. 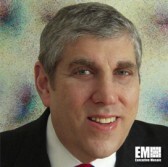 Evan Scott is CEO of ESGI, a retainer based executive search firm established in 2000. Mr. Scott is one of the founding partners of the firm. Mr. Scott’s mission is to bring personalized attention and sophisticated executive search experience to the firm’s clients. This is the fourth year in a row that ESGI has been nominated. With three decades of experience, Mr. Scott has assisted numerous systems integrators, enterprise software and services companies, and (8a) small business hire top-level executive talent. ESGI handles positions ranging from the Board of Directors, Advisory Boards and corporate officers such as CEO, President/ COO, Chief Growth Officer, CHRO, VP Talent Acquisition, General Counsel, and CFO.The firm is also very active in helping client’s recruit heads of Business Development and Federal Sales across all federal agencies. Mr. Scott’s understanding of the business and network of connections in the federal market—built through years of experience—has earned him a trusted partner relationship with clients. Through these partnerships, ESGI ensures that executive searches result in its clients’ strengthening their leadership teams who can deliver on three to five-year strategic plans. Mr. Scott serves as Chairman, Membership for The Homeland Security Defense Business Council. ExecutiveBiz had the opportunity to catch up with Scott and ask for his perspective on some of the challenges, considerations and best practices executive recruiters and candidates ought to keep in mind. Evan Scott: Finding candidates is not the most challenging part of the job. Intense networking with executives who we trust will always lead to talent. Our business is labor intensive and you just need the time to work on a search. We never take on more assignments at once to avoid distraction and not give each engagement the attention necessary to get the job done right. The ability and experience to match an executive’s strengths with client requirements and corporate culture is at the heart of what we do. It takes years to develop the instincts and ability to weigh an individual’s character against the environment he/she will be entering. This is true when hiring business development executives in federal contracting. Recognizing those with the ability to close deals in the current environment is an art. We also conduct meaningful behavioral references. Participating in our community every day for the last seventeen years has given us a deep understanding of the federal contracting business. Through careful due diligence we know where the talent resides and who has strong reputations. This goes a long way as we evaluate and present candidates to our clients. ExecutiveBiz: Have companies’ approaches to hiring changed in the past decade? If so, how? Evan Scott: The most obvious change has been social media. This has promoted the belief that companies can fill their key positions without having to seek outside help. Why retain a search firm when you can find all of your candidates on the popular social media sites? Second, companies are establishing internal recruitment firms. Within companies there is the frequent attitude that using an external recruitment firms is not necessary. In my opinion what companies underestimate is the value of having an honest broker during the recruitment process. Companies also do not believe that their network will generate talent they do not already know or can recruit themselves. That is a myth and every search we handle proves that there is talent that companies do not know or can access. A seasoned professional recruiter establishes intimacy and trust with both candidates and clients. Finding candidates and recruiting them are two distinct activities. Having an experienced third party involved with critical hiring decisions results in a higher probability of successful outcome. The most sensitive time for any hire is compensation negotiation. A trusted third party involved in these discussions makes all the difference. What you are buying when paying a retainer to an executive search firm is a third party professional who spends his/her full time cultivating a network of talent to draw upon. I always come back to the old sayings you get what you pay for and people are motivated based on how they are compensated. Evan Scott: How the recruitment process is handled is a key consideration for a candidate. During this process, the candidate learns who he/she will be working with, the company’s reputation and whether or not the company has products or services that customers want and need. Who will be my boss is always top of the list. Last is what customers think of the company is important to candidates. Informed candidates will seek others familiar with the company they are considering and speak with customers. Evan Scott: The skills needed to be successful at a large company does not necessarily translate to small business. I think small business is competing for talent that has been successful at another small company. Hiring executives who have already traveled the road you are on and where you want to go is the challenge. Small business can offer equity participation which is a definite advantage. While stock in a publically traded organization might be valuable, executives can have a more immediate impact on the valuation of their stock in a small company. Offering executives broader responsibilities and less politics is another competitive advantage. I find that top performers need to be at the table for all meaningful decisions. Small business allows for this while at a larger company there are more stove pipes that can be restrictive. I do not think that small business is really trying to recruit executives who are better suited for a larger enterprise.